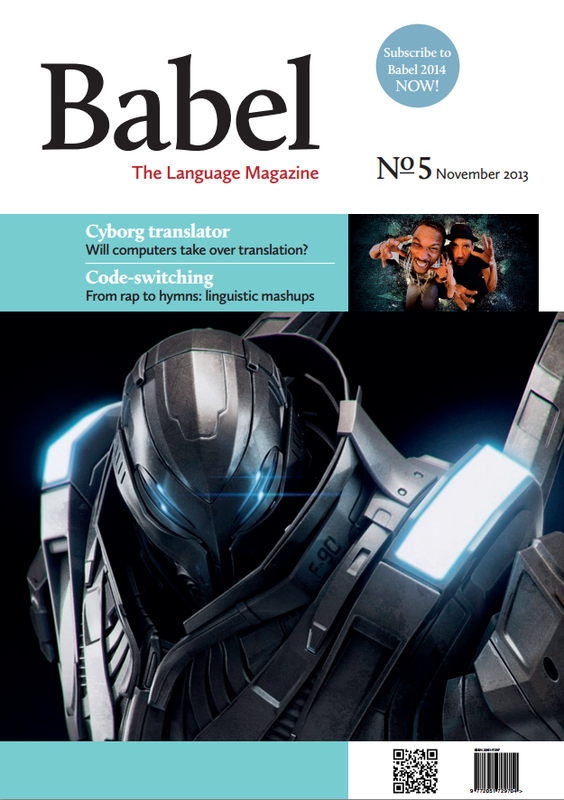 Babel Magazine Babel - Issue 5 Babel No5 (November 2013) Articles The Day of the Cyborg - Jonathan Downie wonders if computers will take over translation Double-voicing - Judith Baxter asks whether there is a linguistic glass ceiling in the boardroom Interview - William Labov and Gillian Sankoff Language as Patchwork Quilt, Mirror or Mongrel? - Noortje de Weers on the controversial anthem for the new Dutch king Research that Inspired Me - Lesley Jeffries on the work of Jean Berko The Wonderful World of Code-Switching - Penelope Gardner-Chloros explores linguistic mashup • UK Delivery including postage £7.00 • Europe Delivery including postage £10.00 • Rest of the World Delivery, including postage £12.00 Please select the number of copies required and your geographical location below to add to your shopping cart. Please select the number of copies required and your geographical location below to add to your shopping cart. A one-time price of £7.00 will be added to your order.